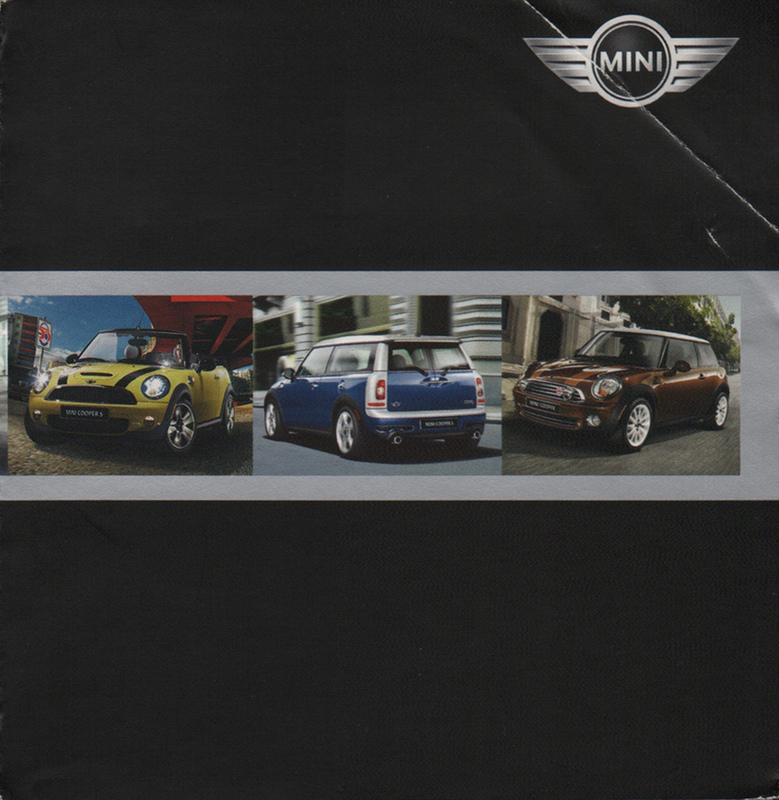 Mini sales catalog for the 2010 Mini featuring the Mini Cooper Hardtop, Mini Cooper S Hardtop, Mini Cooper Convertible, Mini Cooper S Convertible, Mini Cooper Clubman, Mini Cooper S Clubman, Mini John Cooper Works Hardtop, Mini John Cooper Works Convertible, and Mini John Cooper Works Clubman. Specifications, features, and options are listed for each. There is a 188hp, 172hp, and a 208hp powerplant under the hood. Exterior paint colors include Midnight Black, British Racing Green Chili Red, Horizon Blue, Sparkling Silver, Pepper White, Nightfire Red, Laser Blue, Oxygen Blue, Interchange Yellow, Hot Chocolate, White Silver, Pure Silver, and Dark Silver. This sales brochure is only 3 by 3 inches when folded up.